On a previous article, we described Sales Reports and what inside them. In this article, we will provide information about what is Customer Reports in Magento 2 backend. This option is the reports related to customers such as Order Total, Order Account, and New. What is Customer Reports in Magento 2? Customer Reports is a group of reports that provide information about customer activity during a specified period of time or date range. To open Customer Reports in Magento 2 backend, you have to click the Reports button in the admin sidebar. 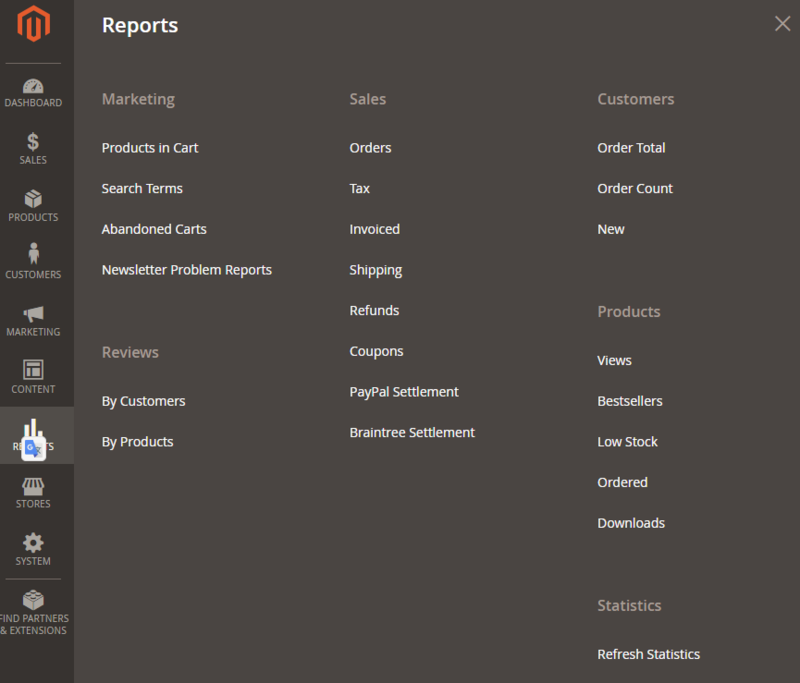 The customer reports option is on the right corner of the sidebar. There are three options in Customer Report: Order Total, Order Count and New or New Account Report. What inside Customer Reports in Magento 2 backend? The Order Total Report: this report shows customer orders for a specified time interval or date range. The report includes Interval, Customer, Orders amount, Average and Total amount. The Order Count Report: This report shows the number of orders per customer for a specified time interval or date range. Same as the total report, this report includes Interval, Customer, Orders amount, Average and Total amount. The New Accounts Report: This report shows the number of new customer accounts opened during a specified time interval or date range. This record includes Interval and New Accounts. Above is an article on Customer Reports in Magento 2. We hope that you can find useful information from this article, and completely tracking all data in customer reports from the backend. If you have any question, feel free to leave a comment or contact us directly. In the next article, we will describe Product Reports and what inside them. Keep tracking Mageguides by subscribing to read more useful Magento 2 guideline articles.